Project ideas by the My Art to Inspire Community. Objective: To create art from scraps of material, felt, or paper. 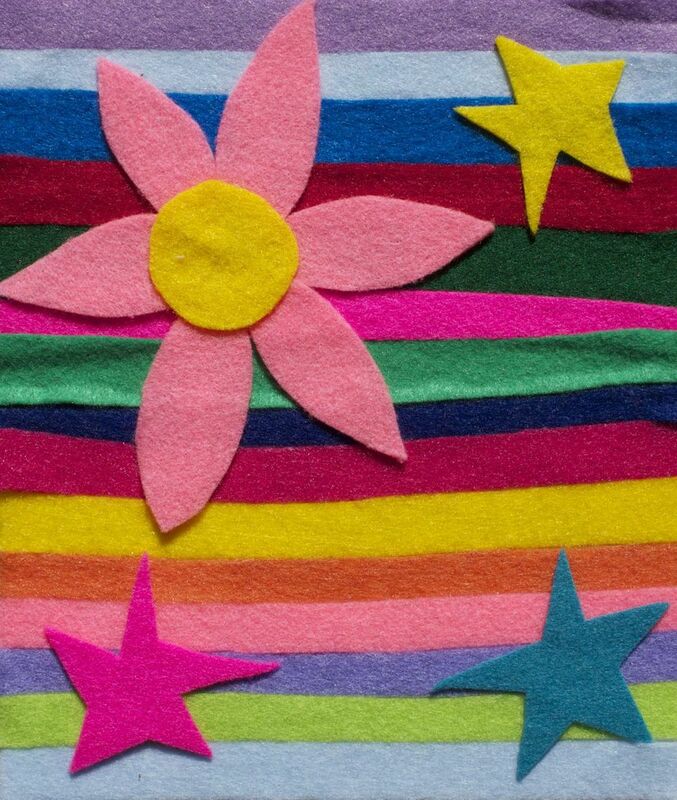 What to do with all of the scraps pieces of material, felt, or colored paper? Create colorful collage boards of shapes and designs. Select the material, felt, or paper colors that appeal to you. 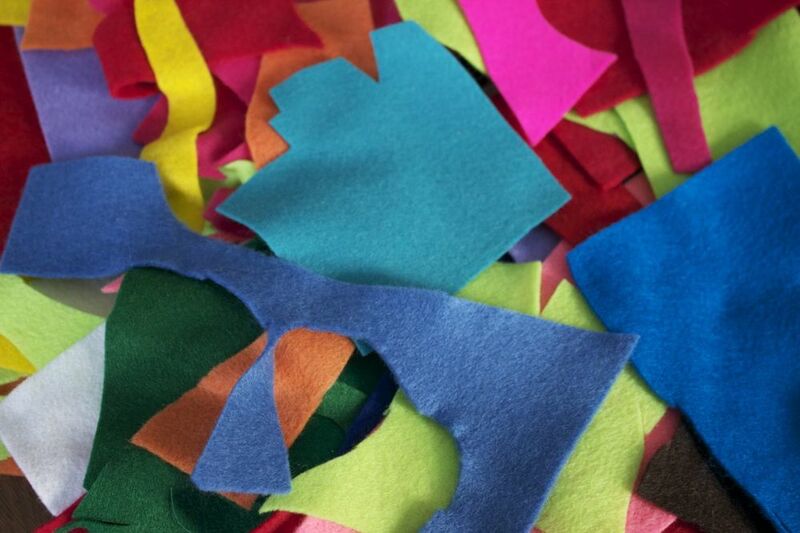 Cut out different shapes or use pieces as they are formed already. They can be any size and do not have to drawn or measured. Attach shapes/pieces to a small square piece of cardboard with glue or glue stick. The material or paper can be overlapped as well.